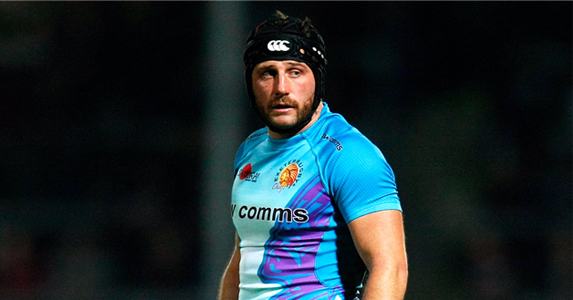 Exeter Chiefs assistant coach Ali Hepher believes his side will have to produce one of their best displays of the season if they are to come away with victory in tomorrow night’s Aviva Premiership clash with Sale Sharks at Edgeley Park (7.45pm). Having just concluded the opening two rounds of the Amlin Challenge Cup with a narrow defeat to Perpignan and a comprehensive victory over Cavalieri Prato last time out, the Chiefs are clearly relishing getting back into the bread and butter of domestic action this week. “These are great games for us and the reason why you are in the Premiership,” said Hepher. “Everyone is excited ahead of Friday’s game and there has been a different level and a different intensity to our training this week. We are fully committed to putting in a good performance, but at the same time we are aware we will need to put in one of our best performances of the season to get something from the game. Tomorrow’s test, however, will be the first of many the Chiefs will encounter either side of Christmas – and according to Hepher such challenges are just the ticket for the Chiefs. As expected the Chiefs welcome back much of their heavy artillery for this latest clash. Head coach Rob Baxter opted to give many of his frontline stars the weekend off against Prato last Saturday, but many of those who took to the field in Perpignan return to duty at Stockport. Indeed, there are just two changes from the team which lost 15-12 at the Stade Aime Giral a fortnight ago. One comes in the pack where Tom Johnson is preferred to Ben White in the back-row, whilst behind the scrum Frenchman Nic Sestaret will partner Jason Shoemark in the centre. Samoan international Josh Tatupu is the man who makes way. It is not just Johnson and Sestaret who will be keen to impress in Stockport. With the Chiefs have utilised much of their squad over the past fortnight, Hepher says the battle for places within the first team squad is intense. Buoyed by the fact that they completed the league double over the Sharks last season, the Chiefs will head up the motorways in confident mood, this despite losing their last four Premiership fixtures. With the exception of Northampton away, the Chiefs have managed to claim some kind of bonus point reward in the other three fixtures against Saracens, Harlequins and, more recently, Gloucester.